How long has it been since you started living alone? You’re probably used to it by now. You might even have your own ways of dealing with things and that’s perfectly alright – even encouraged. Living alone lets you enjoy autonomy and independence. There’s nothing more enjoyable than living life on your own terms. Keep emergency contact numbers at the ready. Accidents happen without warning. And in those cases, having an emergency response in a timely manner can save lives. That’s why it always pays to be prepared. Make sure you have the numbers of local police, emergency services, and trusted family members in your speed dial for easy access. Secure a safe and fall-proof living area. Suffering from a fall will not only put your health at risk, but it can also damage your property. (Just imagine how terrible it would be to slip on the floor and accidentally breaking your TV!). Keep your floor area clear from clutter and have enough lighting in each room to prevent falls. Take time to know your neighbors. While you don’t necessarily need to be best buds with your neighbors, it helps to be acquainted with them. Why? You might ask. Well, in the event of an emergency your neighbors will often be the first respondents to the scene. They can keep an eye on your home when you go out to get groceries too! Always check the peephole before answering the door. Danger comes in different forms. Sometimes, they may come in the form of a stranger knocking at your doorway. Be wary of the people you let in your home. If you’re having home repairs done, confirm the identity of the workers by calling their official company number. Lock your windows at night. While it may seem more comfortable to leave your windows open for a cool breeze, you should avoid it. Unlocked windows could tempt a break-in and put you in danger. Who doesn’t love cooking? It is a great past time and it keeps you well-fed too! However, a cooking accident can lead to a house fire if you’re careless. Consider having a smoke detector installed in your home. And don’t forget to have a fire extinguisher at the ready too! Have the assistance of a carer you can depend on. It always helps to have someone watch your back for added safety. You can request a friendly and competent carer from OptimumCare Home Care Services to help you out. Aside from improving your safety, we can also provide you with skilled nursing in McLean, Virginia. 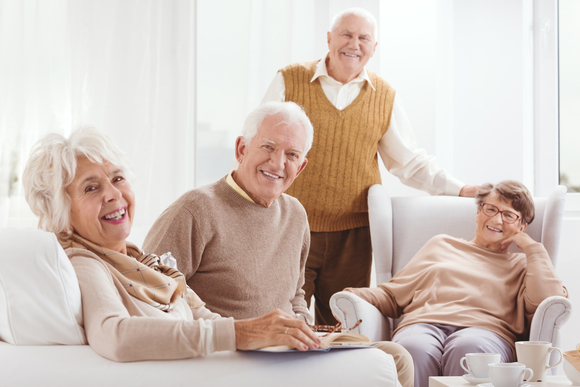 With OptimumCare Home Care Services (a provider of home care service in Woodland, Virginia) on your side, you can enjoy the life that is both safe and comfortable. Sign up for our service today and enjoy the added convenience! This entry was posted in Non-medical home care and tagged Companionship, homecare services, Safety Reminders, Senior Care. Bookmark the permalink.